Lucy got her big Christmas present this morning. We’re heading up to my parents’ house tomorrow for the weekend, and since it was too big to bring along, we went ahead and let her have it early so she could start playing with it. 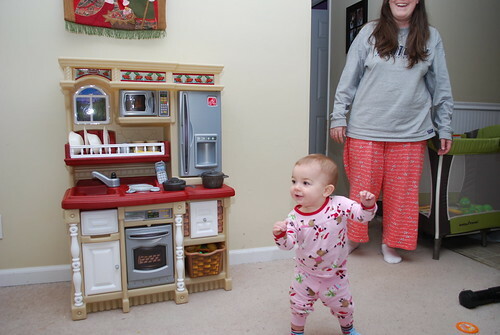 She got a play kitchen! 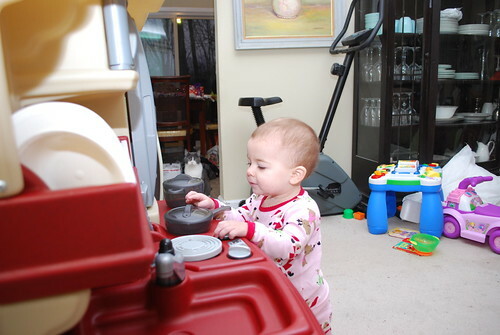 I was worried she might be a little young for it, but her babysitter says she plays with the play kitchen at her house all the time, so I figured it would be a good investment. 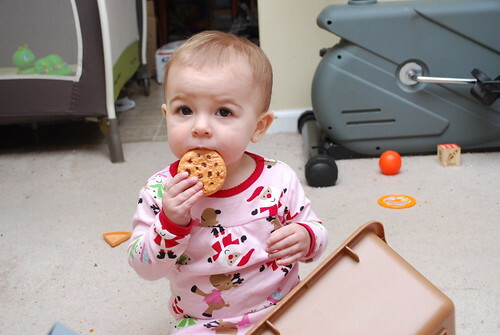 We got a great deal on the kitchen and 101 pieces of play food. She only got 1/3 of the food because we really don’t need 101 pieces under the couch. She also got her stocking early. We got her some snack bowls, food bowls, forks and spoons, and a book. 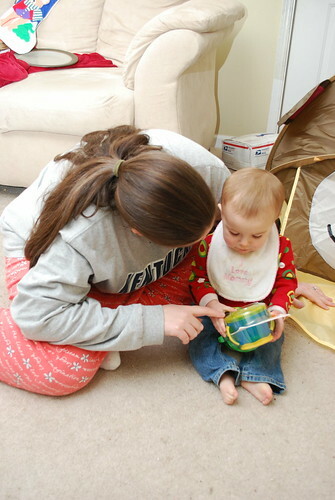 She LOVED the forks and spoons, and she spent the evening banging her bowls together. And, of course, the forks and spoons already have gotten lost. Par for the course in our house. Now, I’m looking forward to Christmas weekend. 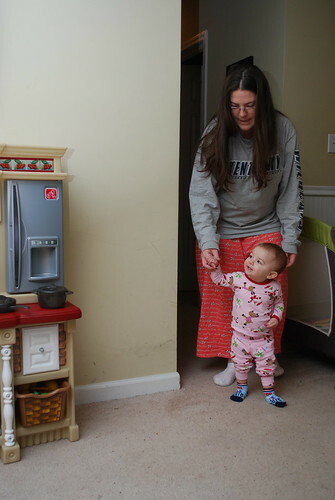 This entry was posted in holidays, life, lucy, memories on 12/23/2010 by cady. Hi Cady! Your little Lucy is sooo precious! 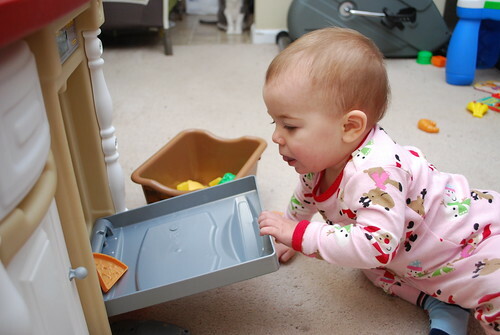 It’s amazing she can play with the kitchen at such an early age–so cute!! That photo with the cookie in her mouth is so great! They grow so fast! Merry Christmas!